Luton Town have boosted their attacking options by signing Hereford striker Stuart Fleetwood and Trinidad & Tobago international forward Collin Samuel. Fleetwood, 25, has signed a two-year contract for an undisclosed fee, while Samuel, 30, has signed a one-year deal after being released by St Johnstone. "Collin has a good pedigree, is a strong, versatile player," Luton boss Gary Brabin told the club website. "Stuart is a proven goalscorer at this level so I'm absolutely delighted." Fleetwood made his mark in the Blue Square Bet Premier with Forest Green, scoring 28 goals in 41 games during the 2007-08 campaign. That form earned him a move to Charlton, but after making just one substitute appearance, he left last summer for a second spell at Hereford, and netted 14 times in 40 league starts. 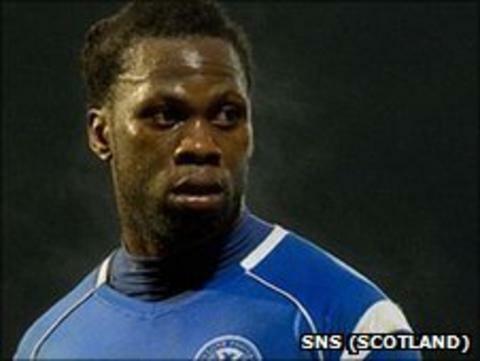 Samuel arrives after three years at McDiarmid Park, where he notched 13 goals across 83 league appearances.